After losing a powerful orb, Kara Zor-El, Superman's cousin, comes to Earth to retrieve it and instead finds herself up against a wicked witch. This one has no opening credits in space. The only one without any nuclear weapons. 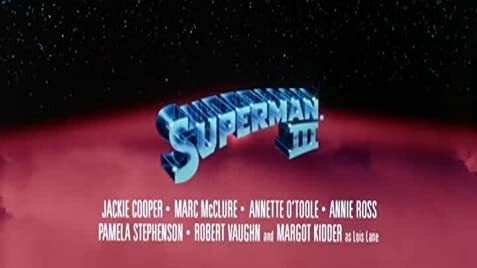 In Superman (1978), Lex Luthor stole nuclear missiles with the intent to detonate one at the San Andreas fault, in order to trigger an earthquake, In Superman II (1980), an atomic bomb freed the villains from the Phantom Zone, & the plot in Superman IV: The Quest for Peace (1987) was about Superman ridding the Earth of nuclear weapons. This is the only one in which Gene Hackman, Susannah York, and John Hollis do not appear. 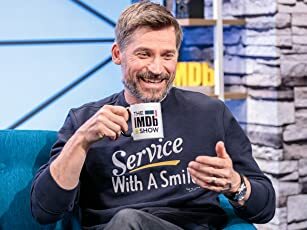 Q: Why were Jimmy and Clark riding a bus to Smallville? Wouldn't the Daily Planet pay for a plane? Q: What's the deal w/Superman turning evil? It was kryptonite, right? Q: In Superman II, Superman is able to deflect General Zod's heat vision back at him using a mirror yet in Superman III, Superman is able to melt a mirror in the bar he's drinking at using heat vision. What gives? It'll keep you watching, you can say that. Either on the bad levels or the good ones (if you should find some), since most fans are so divided on this third entry. It falls somewhere under fair for me, as the effects continue to be awesome, but the story this time is tremendously lacking. Part two had three villians equally as strong as Superman, plus the romance going with Lois Lane. 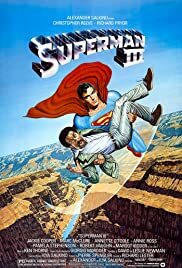 This one has a Lex Luthor clone (Hackman's Lex is left off-screen in jail) who also would like to rule the world, a dweeby computer genius (Pryor, as the much debated addition to the cast) and a romance you know will go nowhere with one of Reeve's lost loves. We already saw that he couldn't give things up for Lois, so why bother brining on a new girl? Though O' Toole is gorgeous, a lot more than Kidder, who is featured at the beginning of the film looking aged, then at the end with a bad tan. Rumor has it she outpriced herself which resulted in the character being shipped off to Bermuda. With her out of the picture, Reeve attends a high school reunion where he bumps into O'Toole. Meantime, Vaughn and Pryor are poised for world dominance, though Pryor is realizing the ramifications and is reluctant. But he still goes through it, concocting a kryptonite like impairment for Superman, which results in some of the film's best scenes. Reeve develops a naughty alter ego, and we get to see Superbad-man get drunk, straighten the Tower of Pisa, even get horny, among other things. There's a terrific showdown between Reeve and...well, Reeve in a junkyard where bad Supes confronts his inner goodness, Clark Kent. After this, though, the film sags to it's conclusion, as Reeve goes up against more rockets and missiles, a la part one. Despite missing the tension of part two, the film is interesting in a disjointed kind of way. The flying effects are once again top-notch, and strangely enough, are better than in the next film which came out four years later! And most have mentioned the dopey opening sequence that belonged more in a silent comedy than here, but it wasn't a horrendous mistake. I must note as a kid that when Vaughn's sister is turned into that psycho-robot it FREAKED me out! Biggest annoyance is the kid who plays Ricky, his voice is badly dubbed and incredibly nerve-racking. Also could've done without O'Herlihy's drunken antagonist. Most of the music is lifted from part two, but since I liked Ken Thorne's work, I didn't mind. I could even say (Supe fans will kill me) I would rather watch this one than the first movie. So even though the story isn't really there like in the previous films, the movie overall still FLIES (hehe).